The data provided by the finance ministry on income tax payments reveal the true magnitude of inequality in Bulgaria. The best-paid 1% of the population receives almost one fifth of all the income in the country – this is made clear from the data provided by the National Revenue Agency (NRA) on declared taxes in 2016. The information was announced last week by Finance Minister Vladislav Goranov in response to a question asked by MP Lalo Kirilov. About 33,000 people fall into the category of taxpayers with an average monthly tax base (ie, the balance of income after the deduction of social security contributions) of over 5,000 leva (2,500 euro). The income tax paid shows that in this group average monthly basic earnings are over 13,000 leva, which means that income inequality within the richest 1% is significant due to the influence of extremely high incomes. Thanks to them, this group receives over 19% of the national income, calculated on the basis of paid income tax. 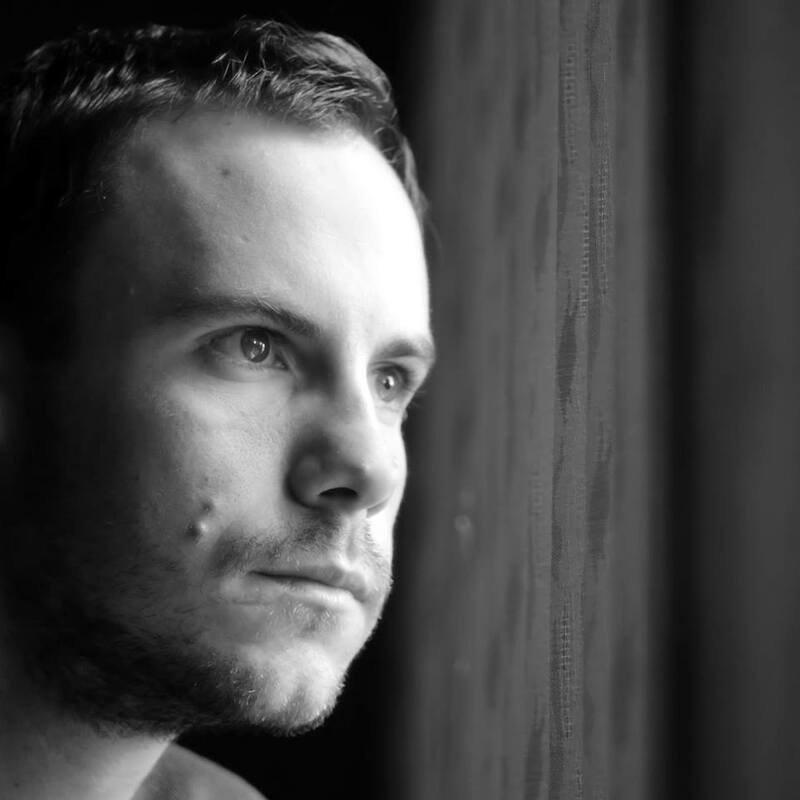 Small deviations are possible due to tax benefits such as donations, voluntary supplementary insurance contributions or insurance – things that are more common among people with high incomes. It should be noted that the NRA data show a significantly higher level of income inequality than the statistical office registers. The reason for this is that the National Statistical Institute (NSI) operates with data for a representative number of households, which it then extrapolates. In this way, it misses the sector of the super rich, whose number is statistically insignificant but who hold a large share of the national wealth. In contrast, tax offices have a complete picture (of legal income), thanks to corporate statements and accounting documents. The income of the richest 1% of the working population equals approximately the lowest paid 50% of workers*, whose net income after the deduction of social security contributions and flat tax was about 500 leva (250 euro). This group includes employees on the minimum wage, a significant proportion of self-employed people, especially farmers and tobacco growers, and seasonal or part-time workers. Over one quarter of these employees declared average incomes of less than 250 leva (125 euro) per month. 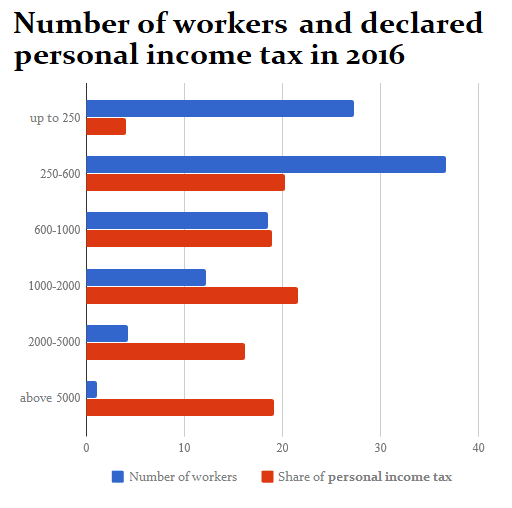 The chart below shows the number of workers in each income group and the amount of total receipts from the flat tax, which approximately corresponds to the amount of income. 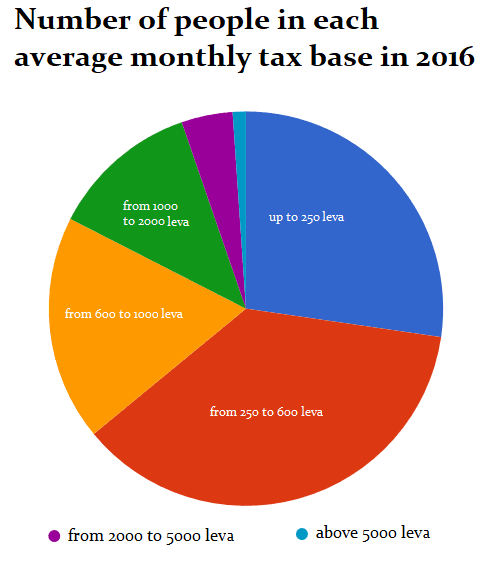 It is evident that in 2016, 82.5% of the workforce declared a tax base of under 1,000 leva, which means that after the deduction of 10% tax they had less than 900 leva. The majority of these people are in the group which earned 540 leva a month; the minimum wage earners are also part of this group. The inequality is at such a level that even a moderately progressive tax scale could provide a return to the non-taxable minimum which was abolished along with the introduction of the flat tax in 2008. This would leave extra resources for spending in the pockets of four fifths of the workers, which would represent a significant incentive for the local economy. It would also reverse the trend of income inequality in the country. The chart below shows the distribution of personal income tax payers by income groups. They themselves are less than half the population – given that retired adults, children, students and inactive people do not pay this tax. The published data for the period from 2012 to 2016 show positive trends, mainly due to the increase in income driven by economic growth, the growth of the minimum wage and low unemployment. The number of people declaring up to 250 leva monthly taxable income is over 280,000 (26%). There has been no change in the group declaring 250-600 leva, where the minimum wage earners are positioned, with 1.1 million people. 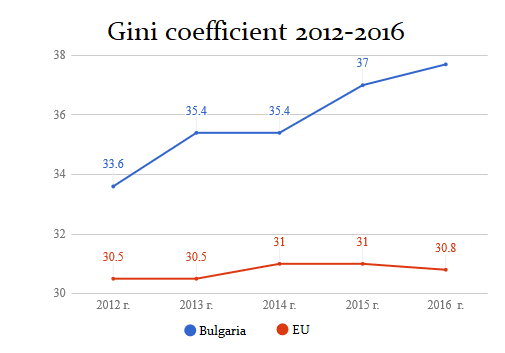 Income inequality is one of the factors that the EC considers “critical” for Bulgaria, along with the large number of people at risk of poverty and social exclusion, and the limited effect of social transfers on poverty reduction. With a flat income tax and relatively low social protection costs, these transfers do little to reduce inequality. 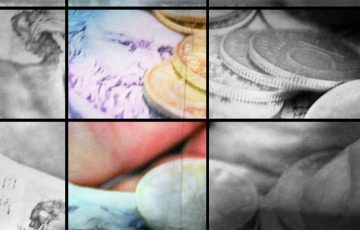 The number of people living in poverty after the reallocation of funds through the budget in Bulgaria rose from 21.2% in 2012 to 22.9% in 2016, despite steady economic growth. On average, EU figures for this criterion have also increased, from 16.8% to 17.3%. While income tax is flat, consumption taxes (VAT, duties and excise duties) are virtually regressive, as the poorer people use all their disposable income on consumer spending, and only the wealthy can save. Social security contributions are also a kind of regressive tax due to a ceiling on social security income, which means that everyone with gross incomes over 2,600 leva pays the same – 335 leva for 2016. In that year, just over 104,000 people with monthly incomes above this amount paid lower social contributions as a share of their income than 2.976 million people who were poorer than them. If this tax was flat and not regressive, the insurance systems in 2016 would have received more than 700 million leva more. * The data provided by the NRA and the Ministry of Finance show that 64% of the poorest workers (up to 600 leva tax base) declare 24.3% of the total personal income tax, which means that the lower half of the workforce earns approximately the same as the top one per cent.